The Canadian Conference of Catholic Bishops on December 10, 2018, released its 2018 message for Christmas. 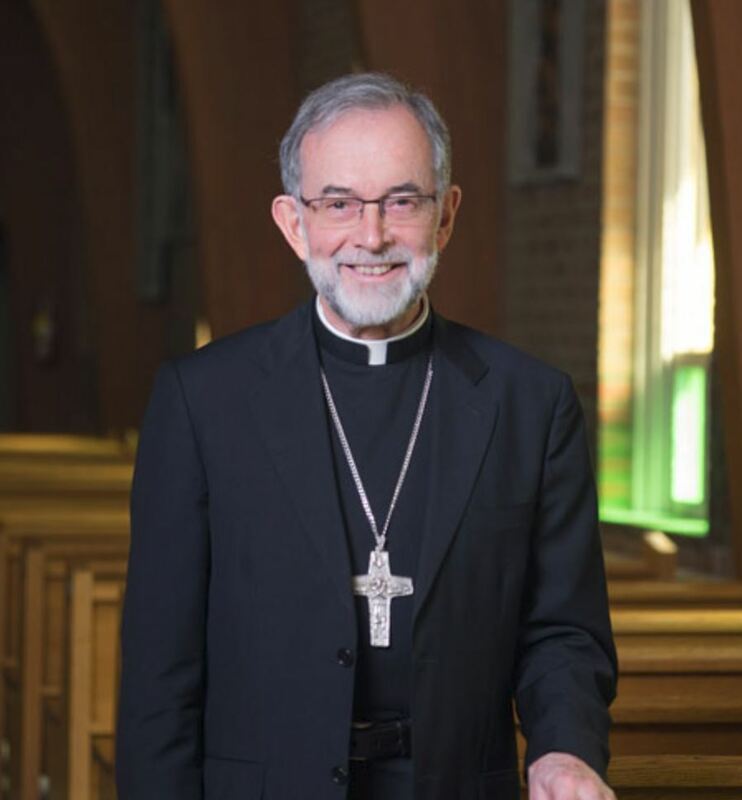 It is signed by Bishop Lionel Gendron, P.S.S., Bishop of Saint-Jean-Longueuil and President of the Canadian Conference of Catholic Bishops. Christmas! Christmastime again! We love this celebration and get ready for it enthusiastically, hoping everything will be perfect. Our preparations take many forms, spiritual and more interior, material and more external. Too often perhaps, the external preparations can take away from preparing hearts as Advent invites us to do. Without always realizing it, getting gifts and meals ready, inviting and visiting our loved ones, decorating our homes and even our churches can take on more importance than Advent. But it is the spiritual and religious journey Advent offers which lets the birth of Jesus open our hearts to the grace of Christmas and fill every dimension of our lives with unique joy. Is there some way to unite our material and spiritual preparations for Christmas? Here is a suggestion. When Advent and Christmas come around, one thing, in particular, catches my attention: the multitude of lights sparkling around us. They shine not only from Christmas trees, but also in the streets near where we live, in our workplaces, and in our parishes. These dazzling lights seem to me an invitation to see Christmas as a mystery of light and, like the elderly Simeon in the Gospel of Luke, discover in the Child lying in the manger the true Light revealed to the nations. A mere glance at our world is enough to note how deep is the darkness covering it. A darkness that hinders clear vision, leads to a loss of meaning and identity and sows death. So many in the world today are anxious, often anguished. Thus the pressing need – for the world’s well-being – to live the mystery of Christmas and discover the Newborn in Bethlehem, the One who is “the light of the world. Whoever follows me will never walk in darkness but will have the light of life.” (John 8:12) Live Christmas as the revelation of Light. Walk in that Light. Reveal that Light through our personal witness. That should be our aim! It is not easy or simple to discern light in a world overrun by the darkness of selfishness, violence, lack of faith, broken promises, shattered relationships, war and famine, sickness and despair. Yet these realities, though harrowing, do not stop the fulfillment of the promise of the One who is Light for men and women of faith. Christ promises to be the light of life for those who commit to follow Him as His disciples. Born of the Virgin Mary, Jesus the Light came into our world and became one of us. His light enters our individual existence and makes of us “children of light and children of the day; we are not of the night or of darkness” (I Thessalonians 5:5). Like Him, and in Him, we become the “light of the world” (John 8:12 and Matthew 5:14). Because His love enters our hearts through the working of the Holy Spirit, we can shine out for the peace of the world. His light cannot be stopped; it gives joy to our hearts, courage to our souls, meaning to our lives, light for our paths. His light radiates beauty, goodness, and truth in our world amid the darkness of human history. Christmas transforms our gaze and allows us to discern the light that shines throughout creation. The beauty and order of the universe draw us into contemplation in silent wonder and deep reverence, stirring us to the depths of our souls. But even more, moving is the perception of God’s light that shines a thousand-fold on the face of every human being. We are enhanced when we look attentively at our neighbors and those whom the Lord places on our paths when we contemplate the light from the faces of men, women, and children face filled with emotion and feeling, at times with hope, at times with fear, but always with life! As we become more aware of the vital importance of the spiritual dimension of Christmas, let us prepare our hearts and help those we love to welcome the grace of Light so that the Messiah can transform us as only He can. This Christmas, let us take the time to contemplate the light of Christ in creation and especially on the faces of our brothers and sisters in our parishes and among all humanity. The “Good News” of Christmas is the light offered to all who seek it and who predispose their lives to welcome it. This Light opens the path to self-sacrifice and commitment, to solidarity and generosity, and ultimately to authentic communion even in this world. Dear friends, this year let us live Christmas as a mystery of light! May Jesus the Light visit us in the tender compassion of the Father, and may He guide our feet into the way of peace (cf. Luke 1:78-79). Enlightened by Him, the “bright morning star” (Revelation 22:16), together let us become the “light of the world” (Matthew 5:14)! Such is our wish to you and yours for Christmas 2018 and New Year 2019 from the Canadian Conference of Catholic Bishops. A joyous Christmas of Light! A good, happy, and holy New Year! The Most Reverend Lionel Gendron, P.S.S.